After downloading the setup file to your hard drive, double click icedragonsetup.exe to start the installation wizard. The EULA screen of the setup wizard is displayed. Complete the initialization phase by reading and accepting the End User License Agreement (EULA). Click 'I agree' button to continue the installation. Click 'Cancel' button to abort the installation. 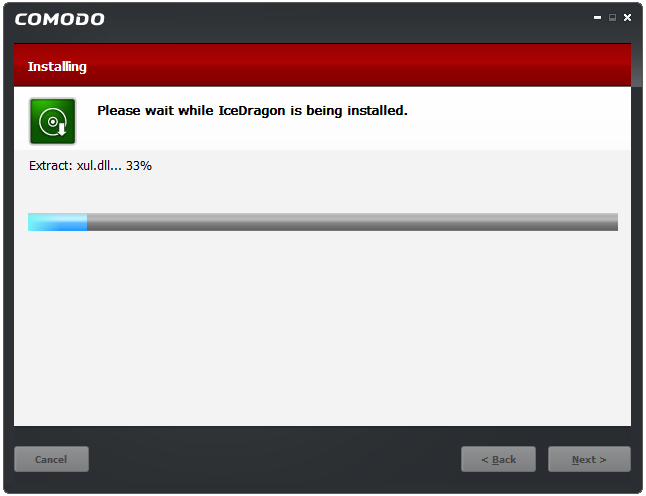 The next screen allows you to select where you want to install Comodo IceDragon. 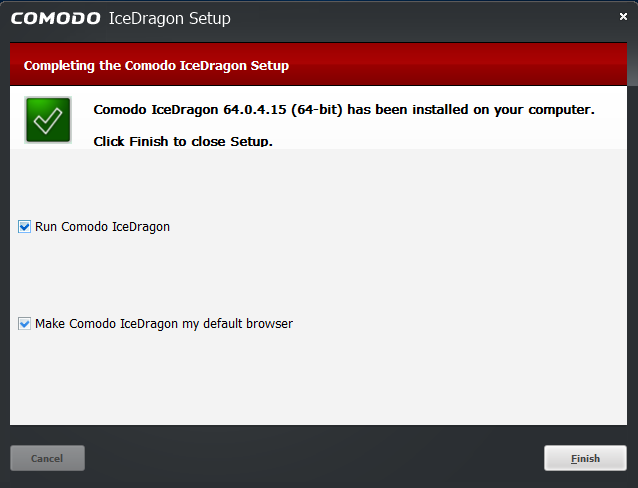 The default installation path is C:/Program Files(x86)/Comodo/IceDragon. Click 'Browse' to choose a different installation location. 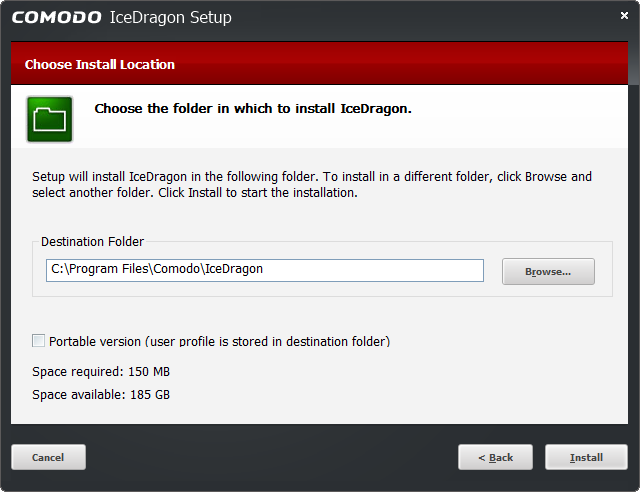 'Portable version (user profile is stored in destination folder)' – The portable version saves all user profile data to the IceDragon folder instead of the Windows 'user' folder. This allows you to copy the IceDragon folder to a USB drive, plug it into any computer and access your personalized version of the browser. See Portable Version for more details. Click 'Next' to move onto the next stage of the installation wizard. 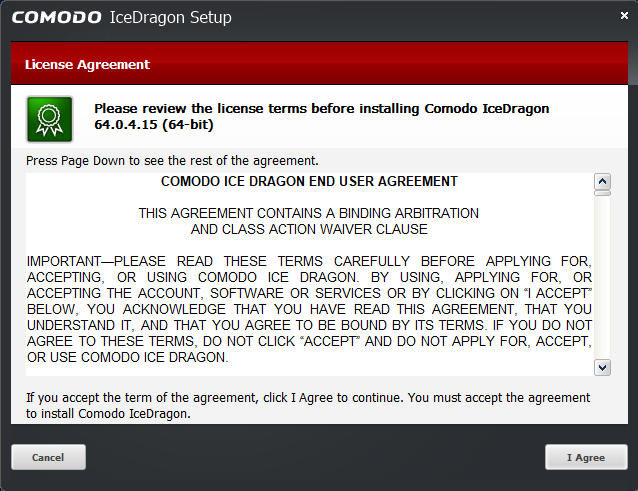 Leave 'Run Comodo IceDragon' enables to start browsing with IceDragon immediately. 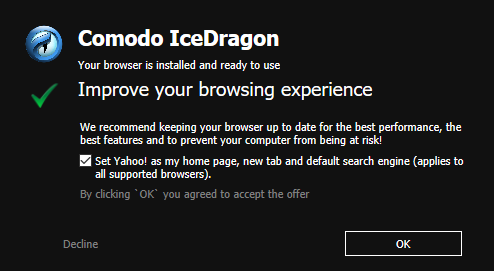 Leave 'Make Comodo IceDragon my default browser' selected to make Comodo IceDragon your default browser. If you want to keep your current browser as default, deselect the checkbox. Click 'Decline' to cancel the enhancements.